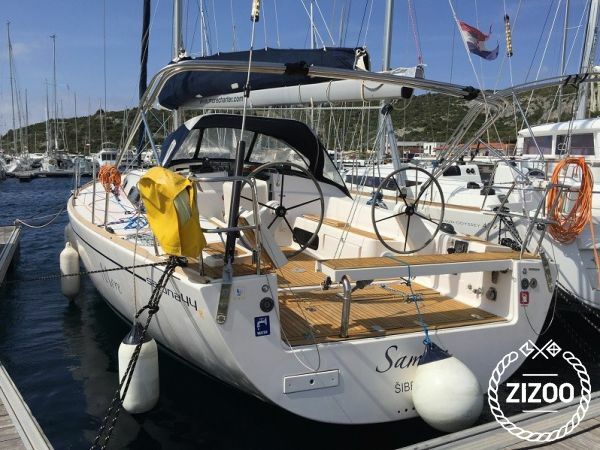 Dance to the beat of the Adriatic Sea in this 2013 Salona 44. With 4 cabins to sleep 8 comfortably, get your mates together and take the Samoa on a rhythmic and rapid sailing expedition. Explore deep-sea diving in Tijat Bay, taste the figs and honey of the Island of Solta, mingle with the stars in Stari Grad on Hvar and discover the military base that was closed to the public until 1998 on the Island of Vis. Get friendly with locals and buy a round or two, then speed off and race with hundreds of others in the many regattas organised in the region. And if you want some expertise with you, get a local skipper on board, your best opportunity to experience Croatia at its fullest. To make memories that will be etched into your mind forever, contact the friendly crew in Primosten. Unsere dritte Buchung bei Zizoo! Service und Boot wie immer erstklassig. Danke!